FREE Child Places: 1,000’s of free child places are available in Tenerife and throughout the world. You can save up to 30% when you compare hotel prices on TripAdvisor. 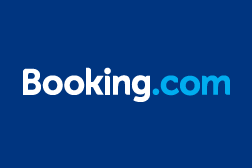 They update hotel prices in real time, 24/7, so you never miss out on a great deal. SAVE £100 Per Person: Offer applies to all holidays departing before 30 April 2018. Free Child Place Finder: 1,000’s of free child places are available in Tenerife and many other destinations. 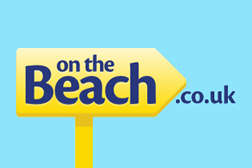 Why book with On the Beach? 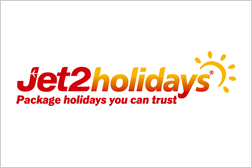 Family Holiday Deals: Great savings on hotels with great family features including, kids clubs, waterparks etc. The stylish Jardines de Nivaria has direct access to Fañabé Beach. Lush tropical gardens overlook two superb lagoon style pools. The hotel was completely refurbished in 2016 in a classic art deco style. Beautifully furnished rooms and suites have all modern amenities together with a balcony or terrace. All offer views over the ocean or hotel gardens. A buffet restaurant offers various themed dining evenings. Additionally there is a Mediterranean à la carte restaurant and a poolside Spanish tapas restaurant. The Aequor Spa and Beauty Centre offers body treatments, massage, a sauna, Turkish bath and water jets. Active guests have plenty to keep them occupied including a tennis court, table tennis, squash, pool table, fitness centre and putting green. Youngsters will love the children’s playground. If you fancy exploring further afield the hotel offer free bicycle hire and golf can be arranged at most of the island’s courses. Two large lagoon style pools (one is heated year round) set in beautiful sub-tropical gardens. There is also a heated children’s pool. The pool area also features waterfalls and a whirlpool bath. Stylish rooms and suites feature air-conditioning, free Wi-Fi, flat screen satellite TV, a balcony or terrace and garden or sea views. The Solandra Buffet Restaurant is open for breakfast and dinner and features regular themed nights. La Cupula is an a la carte restaurant serving gourmet Mediterranean cuisine. Cascada is a poolside tapas restaurant. La Galeria lobby bar serves drinks and pastries. Tiffany Bar has a resident pianist, and offers exotic cocktails and live shows on the terrace. The Aequor Spa and beauty centre features a range of body and beauty treatments including massages and hydrotherapy. There is also a steam room, sauna, gym and hairdressers.